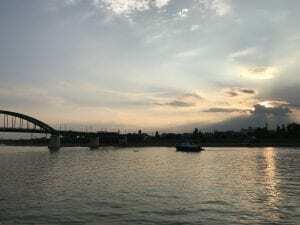 I made it to Belgrade! Belgrade is such a unique city! The city’s geographically and historically important location sits at the intersection of the Danube and Sava rivers. These rivers at one point marked the end of the Ottoman empire and the beginning of the Austro-Hungarian empire. This has resulted in the unique blend of East and West which makes up Serbian culture today. This region’s turbulent political journey is also evident in the infrastructure of the city. The brutalist architecture of New Belgrade, a result of Tito’s communist ideology which held Yugoslavia together, contrasts the Western and Byzantine influences seen in the Eastern Orthodox cathedrals around the city. 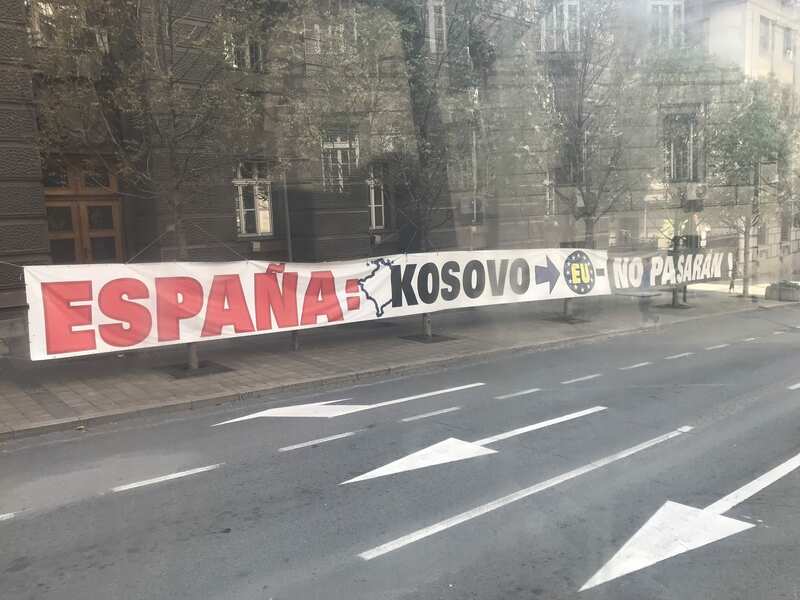 But the most recent effects of politics on the city can be seen as you walk down any of the busy streets of Belgrade. The aftermath of the ’99 NATO bombings is not far from the city’s memory, as many buildings are still in ruins. 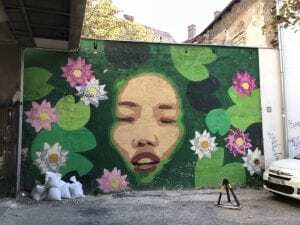 However one of the most striking aspects of Belgrade for me is the huge prevalence of graffiti! And when I say graffiti, I don’t mean just tags from gangs like I’m so used to in Los Angeles. 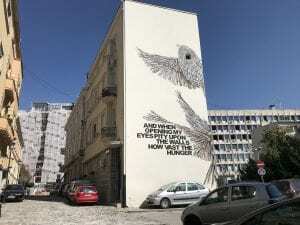 Belgrade is painted and sprayed with political and social messages – and art! Walking through the city, my eyes are constantly focused on random building walls – staring as I try to translate the Cyrillic tagging in my head. 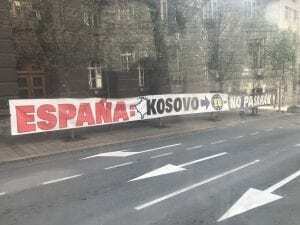 While many are political (such as the image below, which comments on the controversial debate over Kosovo), much of the artwork and graffiti around the city speaks to the liveliness of Belgrade. 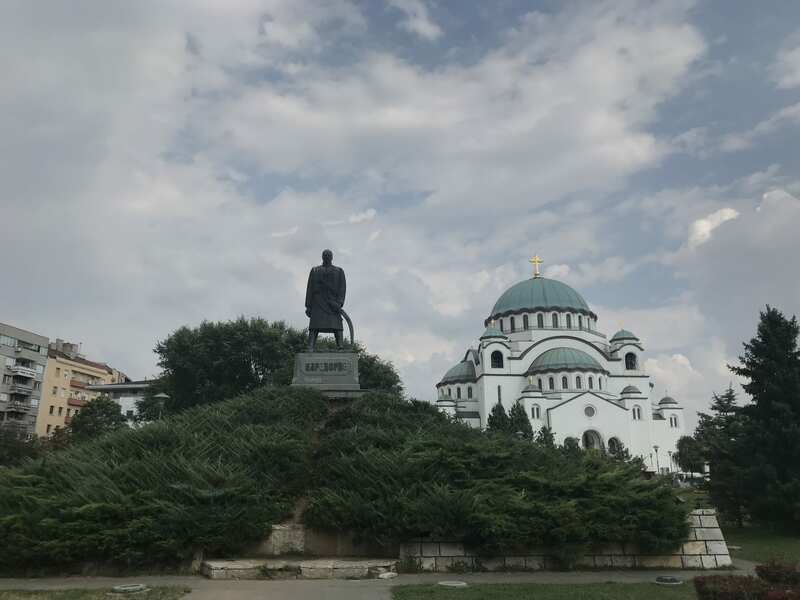 One of the many things I love about Belgrade is the vibrance and passion that courses through the city. This is a very social city – you’ll see people out at bars at 1pm on a Monday, cafes are constantly filled with groups of young people laughing around tables with coffees and cigarettes, and there are always children (and so many dogs!) running and playing at every park. 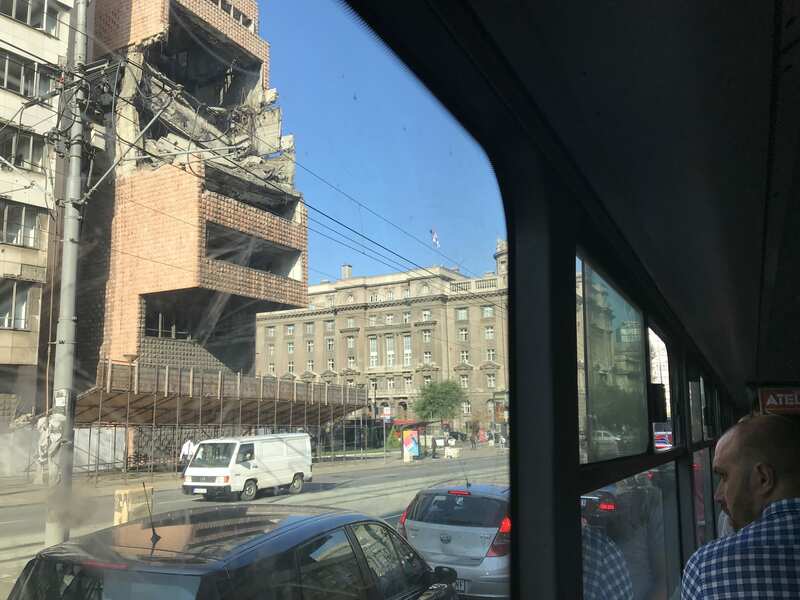 Even from just one week in Belgrade, I’ve had political debates over Trump’s foreign policy and conversations about the NATO bombings with very friendly Serbian strangers! This social aspect of life extends to the home and family as well. On the second day of living with my host family, my host mom’s uncle and aunt dropped by unannounced for coffee and turkish sweets – and stayed for a few hours of lively conversation. I am so thankful for this cultural difference! In the US, it can be difficult to find even a friendly barista and political conversations with strangers rarely, if ever, occur. I’ve found American society to be so individualistic, so this sense of community in Belgrade is very refreshing! I realized I forgot to introduce myself… my name is Bella and I’m a junior at Whitman! I’m spending this semester studying on the SIT program: Peace and Conflict Studies in the Balkans (you can read more about me and the program on my about page). I guess I’ll mostly be using this blog to process all the new experiences I’m encountering and the incredibly complex history, politics, and culture I’m learning about. **A warning to whoever might be reading this: I have a feeling this will turn into an eclectic and (hopefully) self-reflective collection of stories so in advance, I’d like to extend an apology in the case that you get extremely bored or confused. This entry was posted in Uncategorized on September 12, 2018 by Bella Rivera.